Bible parables are popular teaching methods which Jesus employed to open the eyes of some, and blind the eyes of others. Wow! Interesting. Let's find out more. Please read Matthew 13:10-17; 34-35 ESV before beginning free Bible study lessons, #4.01. Previous Lesson: Jesus Is Risen #3.17. 1. What is a parable? 2. 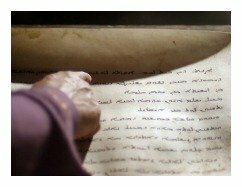 Bible parables were spoken by whom? 3. Parable stories use common objects and people to represent what? Welcome to our Parables Central page! Don't miss our main parables' page: Jesus' Parables. This Bible study lesson will teach you all essential elements of the parables of Jesus. You should understand what a parable is, before you attempt understanding the meaning of Jesus' parables. Included is a list of Bible parables and their location (see end of lesson). You'll like this lesson lots, so let's get started. Note from Brad's heart: I would love to serve in full-time ministry. Contact Me if you have a position with your Christian organization you think would be the right fit. Thanks for considering. Now, back to these great lessons! The most logical question will start today's lesson: What is a Parable? Bible parables are simple stories illustrating a moral or religious lesson (definition by American Heritage Dictionary). Expanding upon that definition, a Bible Parable is, "a short, simple story designed to communicate a spiritual truth, religious principle, or moral lesson; a figure of speech in which truth is illustrated by a comparison or example drawn from everyday experiences" (Nelson's New Illustrated Bible Dictionary, Nelson Pub., 1995, p.943). The New Testament was written in Greek, and the Greek word for parable means, "a comparison or likeness." Therefore, the parable stories are placed alongside the spiritual principles and truths being taught, in order to shed light on the principles and truths. Look at it this way, if you're working on your car engine and experiencing a difficult time seeing what you're working on because of poor ceiling lighting, you add a treble light immediately overhead. You brought the direct light "along side" so you could see the details of your work. Bible parables illustrate a spiritual truth and principle. Spiritual truths and principles are invisible and abstract, so parables give them a graphic presence, followed by application to the hearer's life. Parables help our minds "picture" the spiritual lesson being taught, so we can apply the lesson to our physical life. Familiar customs or incidents are used to illustrate some truths less familiar (Nelson's, p.943). The names, people, and places used in the parables are fabricated, but the truths are real. It's a colorful, indirect way to teach powerful lessons. Understanding the Bible is the precursor to applying the Bible. Parables are used to increase understanding of God's truths, principles, and morals. Jesus Christ wants us to understand his teaching, and parables are a powerful way to make sure that happens. Bible parables weren't only taught by Jesus, but he was by far the most prolific user of the teaching method. Jesus' parables are known to number nearly forty, but he may have used more [note: a list of parables are located at the bottom of this lesson]. Psalm 78:1-2 NASB predicted Jesus would use parables to teach people God's truths, "Give ear, O my people, to my law; Incline your ears to the words of my mouth. I will open my mouth in a parable; I will utter dark sayings of old." The prophet Nathan knew he had to illustrate a point to the spiritually blind King David, so he used a Jewish parable (see 2 Samuel 12:1-4). King David of Israel was in the midst of series of sins including lust, covetousness, murder, and adultery. He became blind to his sinful, out-of-control lifestyle. Nathan presented the Jewish parable of the rich man to King David, and the parable story shook the King to the core of his soul. The parable led the King to repentance (2 Samuel 12:5-14; Psalm 32:1-7). Nathan's parable, given to him by the Lord, was a parable of severe rebuke. The graphic parable enlightened King David to his sin. Keep that important thought in mind. King David was also involved in another use of a parable. The wise woman from Tekoa relied on a Bible parable to help King David understand that the grace of God must be applied to Absalom, the King's son. David realized the point of the story, applied it to his life, and then allowed his banished son to return to the Israel (2 Samuel 14:1-24). Bible parables were employed by Christ to hide certain teachings from the hypocrites (Luke 8:9-10 NIV). Jesus instructed his followers to refrain from throwing pearls to the swine, because they would get trampled on and wasted, and in fact, they can actually come back and attack the messenger (Matthew 7:6 NIV). The Hebrew and Aramaic word for parable also means "a riddle." Apostle Paul tells us that Satan already has his claws set deeply in wicked people, "And even if our gospel is veiled, it is veiled to those who are perishing. The god of this age has blinded the minds of unbelievers, so that they cannot see the light of the gospel of the glory of Christ, who is the image of God." (2 Corinthians 4:3-4 ESV). Jesus taught Christian parables in order that some understand, but, he also taught them so the truths remained hidden from the eternally doomed. He didn't want them understanding, because they would have murdered him before his time had come. He fulfilled Isaiah's prophecy by confusing the hypocrites with Bible parables, i.e. riddles (Isaiah 6:9-10). Confusion would leave the religious leaders, the enemies of Christ, with little evidence for their case(s) against him. By the time he reached the passion week in Jerusalem, however, he was ready to announce that he is Messiah and his Kingdom was now. An example of a Bible parable would fit well here, so we can show you the elements in action. We'll use a short parable for the sake of space and time limitations. Let's use the parable of the fig tree as an example. This parable is recorded in these three locations: Matthew 24:32-35; Mark 13:28-31; and Luke 21:29-33. Please read one or more of the accounts before proceeding. Jesus borrowed a very common fruit tree to illustrate a point he was teaching. After telling the disciples of his second coming, he told them to, "Learn a lesson from the fig tree." He explained that summer is approaching when the branches bud, and the leaves sprout. Jesus used "summer" to designate his second coming, the fig tree to designate the timeline of history, and the buds and leaves to designate the signs of his coming, which he finished delineating moments before this parable was spoken. Bible parables use common objects to represent spiritual matters. Notice how the fig tree was used above. 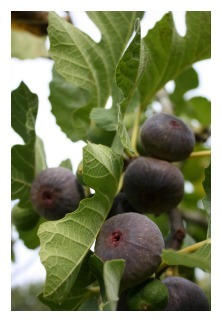 The disciples probably remembered Jesus' teaching about his 2nd coming every time they walked by a fig tree. THAT, my friends, is an effective, lasting teaching style. Christian parables must be understood by you, or there is a serious spiritual issue. The disciples throughout the ministry of Jesus failed to understand the parables because they had yet to be indwelt by the Holy Spirit. Their failure to understand the simple, short Bible parables frustrated Christ (Mark 8:17-21). Finally, at the end of his earthly days, Jesus allowed the disciples to see spiritual truth (Luke 24:45). Jesus must do the same to you, too, as he does to all true Christians. He will open your mind to spiritual truth (Acts 16:14) so you're able understand the Scriptures, and in our specific case today, his Christian parables. A failure to grasp, or even be excited about these stories, should lead a person to his or her knees asking God for the Holy Spirit to open his or her mind to understanding. Understanding the Scriptures is a wonderful sign, while ignorance of the Scriptures, i.e. a failure to understand, should be a terrifying thing for a person. Immediate action is required. If this is so for you, plead with God to enlighten your mind and soften your heart: Sinners Prayer. 1. 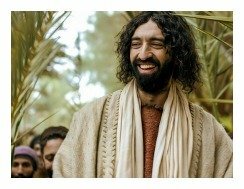 Why did Jesus employ Christian parables so often to those whom he loved? 2. Bible parables are sometimes used to establish, or at least re-enforce, church doctrine. Why is this practice considered by many to be dangerous? 3. 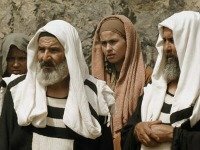 Was it fair for Jesus to use Bible parables when the Pharisees, i.e. religious hypocrites, were in attendance? Why, or why not? Dear Lord, Bible parables are meant to open our understanding to your important spiritual truths. Please open my mind and heart to understanding. Teach me your ways, O God, show me your paths. Don't let me die in my sins. Reveal to me that your ways are above my ways, and your thoughts over my thoughts. Show me the importance of following Jesus as his disciple. Lead me to truth, guide me to the cross. Forgive my sins forever. Thank you for your patience and mercy with me. In Christ's name, Amen. After sharing this Bible study lesson on Facebook or Twitter below download your Free Printable Bible Study Lessons, Bible Parables #4.01. Thank you for joining me in this study of Bible Parables. Special Note: I'm grateful to Big Book Media & Free Bible Images, Stock Exchange, Morgue Files, and Stock Photos For Free for the use of their photos for our Parables of the Bible study lesson.